Many standards provide overall security program structure and security goals, but lack the specific details and guidance necessary to implement and maintain an effective security program. Assessing, executing, monitoring, and auditing security programs using a proven security framework can help strengthen your security posture, reduce risk, and support compliance with multiple regulations. Frameworks are basically a “blueprint” for building an information security program to manage risk and reduce vulnerabilities. Lynx can help you pick the right framework to define and prioritize the tasks needed to build security into your organization. We can assess your compliance with security frameworks and help customize frameworks to solve specific information security problems. The selection and specification of security controls for an information system is accomplished as part of an organization-wide information security program that involves the management of operational risk. NIST provides a variety of control standards, including Risk and Cyber Security Frameworks that facilitate an organization’s information assurance goals. he ISO 27000 series was developed by the International Standards Organization. It provides a very broad information security framework that can be applied to all types and sizes of organizations. 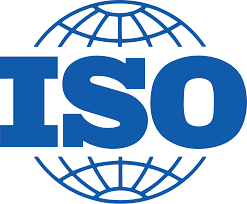 ISO/IEC 27001 is the best-known standard in the family providing requirements for an information security management system (ISMS), which is a systematic approach to managing sensitive company information so that it remains secure. It includes people, processes and IT systems by applying a risk management process. ISO 27000 can be used for any industry, but the certification lends itself to cloud providers looking to demonstrate an active security program. Control Objectives for Information and Related Technology (COBIT) is a framework developed in the mid-90s by ISACA, an independent organization of IT governance professionals. COBIT focuses on defining program and management control functions. It is designed to help ensure IT programs are implemented and managed effectively to maximize the investment of technology efficiently. This framework started out primarily focused on reducing technical risks in organizations, but has evolved recently with COBIT 5 to also include alignment of IT with business-strategic goals. It is the most commonly used framework to achieve compliance with Sarbanes-Oxley rules. HITRUST CSF is a certifiable framework that provides organizations with a comprehensive, flexible and efficient approach to regulatory compliance and risk management. Developed in collaboration with healthcare and information security professionals, the HITRUST CSF rationalizes healthcare-relevant regulations and standards into a single overarching security framework. Because the HITRUST CSF is both risk- and compliance-based, organizations can tailor the security control baselines based on a variety of factors including organization type, size, systems and regulatory requirements. The Committee of Sponsoring Organizations of the Treadway Commission (COSO) Internal Control–Integrated Framework facilitates efforts by organizations to develop cost-effective systems of internal control to achieve important business objectives and sustain and improve performance. The COSO framework provides guidance on the design and evaluation of internal control. While many public companies use the framework for reporting on their financial controls in accordance with Section 404 of the Sarbanes-Oxley Act, it can also be applied it in assessing internal control over operations, compliance and other reporting objectives.